Health Tip: Think You Fractured Your Foot? Skip the Steroids for Shoulder Pain? Abdominal pain, aches and pains, acute, analgesia, anesthesia, anti-inflammatory, anxiety, arthritis, breakthrough pain, burn pain, cancer pain, cardiopulmonary bypass, CBT, chemotherapy, chronic, chronic pain, cognitive behavioral therapy, complex regional pain syndrome, contrast dye, CRPS, cutaneous, dental analgesia, dental pain, depression, electromyelography, EMG, fatigue, fibromyalgia, herpes zoster, hypochondria, immunomodulator, inflammation, intractable, leg pain, libido, magnetic resonance imaging, metastasis, MRI, multiple sclerosis, musculoskeletal pain, NCS, nerve conduction studies, neuropathic pain, nociceptive pain, nocioreceptor, non-opiate, non-opioid, non-steroidal anti-inflammatory drug, NSAID, opiate, opioid, osteoarthritis, osteoporosis, OTC, over-the-counter, patient-controlled analgesia, PCA, pelvic pain, phantom limb pain, psychogenic pain, rheumatoid arthritis, shingles, shoulder pain, somatic pain, spinal tap, tachycardia, thoracic pain, vascular, viscera, visceral, x-ray. Pain is defined as an unpleasant sensory and emotional experience associated with damage to body tissues, including organs, bones, and muscles. Pain is the most common reason individuals seek medical care. Pain is often classified as acute (immediate, short-term) or chronic (long-term). Approximately 30-40 million Americans annually do not experience symptom relief with use of over-the-counter (OTC) analgesics, such as acetaminophen (Tylenol®), aspirin, and ibuprofen (Advil®). Some researchers estimate that 35% of Americans experience chronic pain. According to the National Institutes of Health (NIH), the annual cost of chronic pain in the United States, including healthcare expenses, lost income, and lost productivity, is estimated to be about $100 billion. The four most common types of pain are lower back pain, severe headache or migraine pain, neck pain, and facial ache or pain. Back pain is the leading cause of disability in Americans under 45 years old. There is no objective measurement of pain for individuals. Pain can only be reported by the individual experiencing it. Pain can occur in many locations throughout the body. Pain can be constant or intermittent (off and on). Intensity can vary from a dull ache to searing agony. The onset may be sudden and acute, or gradual and chronic (long term), both occurring with or without apparent reason. Doctors will consider whether pain is acute or chronic. Acute pain begins suddenly and usually does not last long. When severe, acute pain may cause anxiety, a rapid heartbeat, an increased breathing rate, elevated blood pressure, sweating, and dilated pupils. Chronic pain persists for greater than three months. The term usually describes pain that persists for more than one month beyond the usual course of an illness or injury, pain that recurs off and on for months or years, or pain that is associated with a chronic disorder such as cancer. Usually, chronic pain does not affect the heartbeat, breathing rate, blood pressure, or pupils, but it may result in other problems, such as depression, disturbed sleep, decreased energy, loss of appetite, weight loss, and loss of interest in sexual activity. Breakthrough pain: Many individuals who are being treated for chronic pain may experience a brief, often severe flare-up of pain. This flare-up is called breakthrough pain because it breaks through the regularly scheduled pain medication therapy. Typically, breakthrough pain begins suddenly, lasts up to one hour, and feels much like the individual's chronic pain except it is more severe. Breakthrough pain may differ from one individual to another and is often unpredictable. Improper pain control is the main cause of breakthrough pain. Complex regional pain syndrome (CRPS): Complex regional pain syndrome (CRPS) is a chronic pain condition, with symptoms of continuous, intense pain out of proportion to the severity of the injury. CRPS usually occurs in individuals with chronic pain due to an injury. This intense pain gets worse rather than better over time. CRPS most often affects one of the arms, legs, hands, or feet. Often the pain spreads to include the entire arm or leg. Typical features include dramatic changes in the color and temperature of the skin over the affected limb or body part, accompanied by intense burning pain, skin sensitivity, sweating, and swelling. Medical history and physical examination: Diagnosing the underlying cause of pain can be difficult. When an individual experiences pain, a doctor may take a number of steps to assess the pain and attempt to determine its cause. Assessment of pain typically begins with a discussion of the individual's medical history and a physical examination. A medical history, which includes age, weight, current and past medical problems, medications, and height, is taken. In the discussion portion of the pain assessment, the individual may be asked to describe the pain according to: when it started; what it feels like; how bad it hurts; where it's located; and factors that improve or worsen the pain. The doctor may use a pain diagram or picture of the human body to evaluate the pain. The individual will mark the area or areas where pain is felt on the chart. Doctors may also use pain scales, which help quantify the pain intensity. Individuals with pain who visit their doctor are often asked to rate their pain on a 0 to 10 scale, with 0 being "no pain" and 10 being "the worst pain imaginable." This is a valid and simple way to monitor an individual's pain. However, pain perception is very subjective and varies from one individual to the next. During a physical examination, a doctor will inspect the area of pain, looking for visual signs of causes, such as trauma and injury. Depending on the location, the doctor may test joints and muscles for strength and range of motion. Blood and urine tests: Blood and urine tests can help diagnose diseases that may be causing pain. They can identify abnormal amounts of hormones, enzymes, or other body chemicals that may indicate disease. Computed tomography (CT) scan: Computerized tomography (CT) scan is an x-ray that uses computer technology and can be enhanced with the injection of a contrast dye into a vein. CT scans allow for multiple X-rays to be taken from different angles around the body where the pain is located to create a three-dimensional image of internal body structures. CT is used to show abnormalities in bones and soft tissue. CT scan can be used for individuals who are unable to tolerate MRI. Electromyography (EMG): Electromyelography (EMG) is a test that identifies muscles and nerves affected by weakness or pain. EMG works by measuring the electrical activity generated by active muscles. A lumbar puncture (spinal tap) will be performed in order to inject contrast dye into the cerebrospinal fluid in the spine. This allows the doctor to outline the spinal cord and nerve roots, and abnormal disc conditions or bone spurs can be visualized using an x-ray or CT scan. EMG is often used along with nerve conduction studies. Magnetic resonance imaging (MRI): Magnetic resonance imaging (MRI) tests use a powerful magnet to produce images on a computer screen and film. Magnetic resonance imaging (MRI) scans provide clear images of disc deterioration, pathologies of the spinal cord, spinal stenosis, herniated discs, spinal tumors, and abnormalities in nerves and ligaments. An MRI is conducted in a small, confined area, and some individuals may find this uncomfortable. Some individuals may have to be sedated using a mild sedative such as alprazolam (Xanax®) or lorazepam (Ativan®). If the individual is sedated, transportation should be organized using a family member or friend. Nerve conduction studies (NCS): Nerve conduction studies (NCS) evaluate muscle or nerve damage. These tests function by measuring the speed of electrical impulses through the nerves. Radioactive bone scan: Radioactive bone scans locate problems (such as a fracture or osteoporosis) in the vertebrae. A chemical called a radioactive tracer is injected into the patient and after several hours, a picture using a gamma camera (a medical imaging device) will reveal bone undergoing rapid changes where large amounts of tracer accumulate. Spinal tap: Spinal taps involve drawing a sample of cerebrospinal fluid and analyzing it for elevated pressure, infection, bleeding, or tumor. Spinal taps may be painful and may require sedation. X-ray: X-rays are low doses of radiation that create an image of a body part, organ, or bodily system on film paper or fluorescent screens. X-rays show the alignment of the spine and may reveal degenerative joint disease, fracture, or tumor. Pain can lead to other conditions, including: fatigue, which may cause impatience and a loss of motivation; sleeplessness, often because pain does not allow the individual to receive a full night's sleep; withdrawal from activity and an increased need to rest; a weakened immune system, leading to frequent infections or illness; depression, which may cause pain to feel worse; other mood changes, such as hopelessness, fear, irritability, anxiety, and stress; loss of mobility, such as such as trouble walking up stairs, standing, or sitting; and disability, which may include not being able to go to work or school or perform other daily activities. Pain treatment or management is generally more effective from a multidisciplinary approach that includes medications (analgesics such as narcotics or non-steroidal anti-inflammatory drugs and pain modifiers such as tricyclic antidepressants or anticonvulsants), non-pharmacologic measures (such as interventional procedures, physical therapy and physical exercise, application of ice and/or heat), and psychological measures (such as biofeedback and cognitive therapy). Analgesics are medications given to reduce pain without resulting in loss of consciousness. Doctors choose an analgesic based on the type and duration of pain and on the likely benefits and risks. Most analgesics are effective for nociceptive pain but are less effective for neuropathic or nerve pain. For some types of pain, especially chronic pain, non-drug treatments are also important, including acupuncture and biofeedback. Pain management practitioners include doctors who specialize in pain management, such as anesthesiologists, neurologists, and psychiatrists. Nurses, nurse practitioners, physician assistants, pharmacists, occupational therapists, and psychologists also are part of a pain management team to ensure that adequate pain control for each individual is achieved. The treatment of pain depends upon the causes of the pain and the individual's tolerance of pain. Prescription and non-prescription medications are one of the most common methods of treating all types of pain. Doctors may use various combinations and doses of medications. With pain medications used for chronic pain, the most serious considerations are for excessive sedation, severe constipation, and under usage. If the individual is not adequately relieved of the pain, or is relieved for only a part of the day, the treatment is inadequate. Analgesics fall into three categories: opioid (narcotic) analgesics, non-opiate analgesics, and adjuvant analgesics. Adjuvant analgesics are drugs that have weak or nonexistent analgesic action when administered alone but can enhance analgesic actions when given together with known analgesic agents. Non-opioid and opioid analgesics are the main drugs used to treat pain. Opiates are naturally occurring and are derived from the opium poppy (Papaver somniferum). Opioids are synthetic drugs based on the opiate chemical structure and with opiate-like activity. Opioids activate opiate receptors that are widely distributed throughout the brain and body. When the opioid reaches the opiate receptors, it can produce pain relief and also euphoria (a feeling of well-being). The brain itself also produces substances known as endorphins that activate the opiate receptors. Research indicates that endorphins are involved in many things, including respiration, nausea, vomiting, pain modulation, and hormonal regulation. Opiates may be prescribed for the treatment of pain. It is not recommended that opiates be taken beyond the prescribed dosage. Drug abuse leading to addiction and overdose has been reported. Antidepressants, anticonvulsants, and other CNS-active drugs may also be used as adjuvant analgesics in chronic pain or nerve pain. Non-opioids: Non-opioids, such as acetaminophen (Tylenol®), aspirin, and ibuprofen (Motrin®, Advil®), are used to control mild to moderate pain. Some non-opioids can be bought over-the-counter (OTC) without a prescription. Some of these medicines can cause stomach upset, may cause bleeding in the stomach, slow blood clotting, and kidney problems. Acetaminophen does not normally cause these side effects, but high doses or long-term use of it can damage the liver. Prescription non-steroidal anti-inflammatory drugs (NSAIDs), such as flurbiprofen (Ansaid®) and celexocib (Celebrex®) and muscle relaxants, such as cyclobenzaprine (Flexeril®), may also be used for pain control. Side effects of prescription NSAIDs include stomach upset and nausea. Opioids: Opioid medications are used to control moderate to severe pain. Opioids include natural (opiate) and synthetic drugs, such as morphine (MS Contin®, Astromorph®), hydromorphone (Dilaudid®), hydrocodone (Vicodin®), oxycodone (Roxicodone®, OxyContin®), codeine (Tylenol #3®), fentanyl transdermal (Duragesic®), and methadone (Dolophine®). Opioids may cause constipation, drowsiness, sedation, itching, difficulty urinating, nausea, and vomiting. Opioids may also be physically addictive. Opioids may be combined with other medications to increase effectiveness in treating pain. Examples include Percocet®, a combination of oxycodone and acetaminophen, and Percodan®, a combination of oxycodone and aspirin. For chronic pain, sustained relief formulations of opioids are available that provide a longer duration of relief (generally up to 12 hours), such as with morphine (MS Contin®, Avinza®) and oxycodone (OxyContin®). In severe pain, fentanyl patches (Duragesic®) can be placed on the skin (topically) for longer pain control (up to 72 hours). Opioid medications are also available as suppositories for those who cannot take medications by mouth. Patient-Controlled Analgesia (PCA) has become an acceptable and highly effective means of relieving post-operative pain. PCA is a medication-dispensing unit equipped with a pump attached to an intravenous line, which is inserted into a blood vessel in the individual's hand or arm. By means of a simple push button mechanism, the patient is allowed to self-administer doses of opioid medications on an "as needed" basis. There is usually a "lockout" period to prevent the individual from taking too much opiate medication. However, prior to release from the hospital, the individual is weaned from the PCA and given oral medication to control pain. Benefits of PCA include: less apprehension by the individual with pain; narcotic addiction can be avoided because the drug is taken on a short-term controlled basis; pain relief is available around the clock; there is no waiting period for a nurse to deliver pain medication; the individual is assured they are receiving the correct medication and dose prescribed by their physician; doses are smaller and available more frequently, which helps prevent sleepiness and fatigue; and pain is more consistently controlled. Tramadol (Ultram®) is a prescription medication that has opiate-like activity but seems to have less addictive and abuse potential than conventional opiates, such as hydrocodone (Vicodin®) and oxycodone (Oxycontin®). Buprenophine (Buprenex®) and butorphanol (Stadol®) are also opiate-like drugs that are used for the treatment of moderate to severe pain. Antidepressants: Antidepressant medications, such as amitriptyline (Elavil®), doxepin (Sinequan®), or trazodone (Desyrel®) may be used to help control tingling or burning pain from damaged nerves. These drugs may also improve sleep. However, these antidepressant medications may cause dry mouth, sleepiness, blurred vision, and constipation. Anti-epileptics: Anti-epileptic (or anticonvulsant) medications, such as gabapentin (Neurontin®) or valproic acid (Depakote® or Depakene®), may help control tingling or burning from nerve injury. These medications may cause drowsiness and may damage the liver and lower the number of red and white cells in the blood. A doctor will order regular blood tests to check for these effects. Corticosteroids: Corticosteroids, or steroids, may help relieve bone pain, pain caused by spinal cord and brain tumors, and pain caused by inflammation. Steroids include prednisone (Deltasone®) and dexamethasone (Decadron®). Steroids may cause fluid to build up in the body and may also cause bleeding, irritation to the stomach, increased blood sugar, muscle weakness, and may decrease immunity. Steroids also increase appetite. Confusion is a problem for some individuals while taking steroids. Others: Pain relievers that are applied directly to the skin (topical analgesics) for localized pain include lidocaine patch (Lidoderm®), commonly used in shingles (nerve pain caused by a herpes virus). Pain clinics: Pain clinics, or pain management centers, are facilities that help individuals deal with chronic pain. A pain clinic may be in a wing of the local hospital or medical center, in a separate medical-professional building, or in a doctor's office. Some pain clinics are affiliated with medical schools and large healthcare centers. 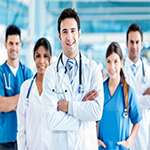 Pain clinics have healthcare professionals trained in the field of pain management. The pain centers offer more individual care for chronic pain management, helping the individual receive the most efficient pain control for their unique situation. Pain centers also help the individual with the addictive component of opiate medications in the treatment of pain. Individuals with active addictive disorder or a substance abuse history are at increased risk of receiving inadequate pain management, because of a fear of increasing addiction by using opioid medications, lack of knowledge about addiction, doctor barriers including inadequate training in pain management and addiction medicine, and fear of regulatory sanctions contributing to under-treatment. Psychological treatment: Psychological factors such as mood, beliefs about pain, and coping skills have been found to play an important role in an individual's adjustment to chronic pain. When pain persists for an extended period of time, the individual may avoid doing regular activities for fear of further injury or increased pain, including work, social activities, exercise, or hobbies. As the individual withdraws and becomes less active, their muscles may become weaker, they may begin to gain or lose weight, and their overall physical conditioning may decline. This can contribute to the belief that one is disabled. As pain persists, the person may develop negative beliefs about their experience of pain, such as the feeling of never getting better. These types of thoughts can maintain the pain cycle. Cognitive behavioral therapy (CBT): Cognitive behavioral therapy (CBT) is a psychological treatment that has been found to be highly effective in helping patients to reduce pain, disability, and distress. CBT for chronic pain management involves modifying negative thoughts related to pain, such as feelings or worthlessness or hopelessness. CBT also helps increase the individual's activity level and productive functioning. This approach for pain management has been shown to be highly effective in promoting positive cognitive and behavioral changes in individuals with chronic pain. Treatment can be delivered individually or in a group setting. CBT for pain management is tailored to the individual needs of the patient but may include relaxation training, cognitive restructuring (different ways of thinking about problems and stress), stress and anger management, sleep quality, and activity pacing. Physical therapy and exercise: A physical therapist can apply a variety of treatments, such as heat, ice, ultrasound, electrical stimulation, and muscle release techniques, to areas where pain originates. As pain improves, the physical therapist can teach the individual specific exercises to increase flexibility, strengthen the back and abdominal muscles, and improve posture. Regular use of these techniques may help prevent pain from coming back. Exercise can correct current back problems, help prevent new ones, and relieve back pain, particularly after an injury. Proper exercise strengthens back muscles that support the spine and strengthens the abdomen, arms, and legs, reducing strain on the back. Exercise also strengthens bones and reduces the risk of falls and injuries. Acupuncture: The practice of acupuncture originated in China 5,000 years ago. Today, acupuncture is widely used throughout the world and is one of the main pillars of traditional Chinese medicine (TCM). Acupuncture involves penetrating the skin with thin, solid, metallic needles that are manipulated by the hands or by electrical stimulation. The placement of these needles by an acupuncturist manipulates the body's energy or "qi" so healing can take place. Strong evidence supports the use of acupuncture for chronic pain. Several studies have also tested the effects of acupuncture on post-operative pain. A clear majority of these studies have reported beneficial effects. Needles must be sterile in order to avoid disease transmission. Avoid with valvular heart disease, infections, bleeding disorders, medical conditions of unknown origin, neurological disorders or if taking anticoagulants. Avoid on areas that have received radiation therapy and during pregnancy. 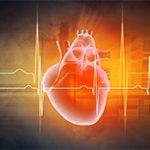 Avoid electroacupuncture with irregular heartbeat or in patients with pacemakers. Use cautiously with pulmonary disease (like asthma or emphysema). Use cautiously in elderly or medically compromised patients, diabetics or with a history of seizures. Acupressure, shiatsu: During acupressure, finger pressure is applied to specific acupoints on the body. Acupressure is used around the world for relaxation, wellness promotion, and the treatment of many health problems. Good evidence supports the use of acupuncture for pain in general. Acupressure appears to be safe if self-administered or administered by an experienced therapist. Serious, long-term complications have not been reported, according to available scientific data. Hand nerve injury and herpes zoster ("shingles") cases have been reported after shiatsu massage. Forceful acupressure may cause bruising. Acupuncture: There is good evidence in support of the use of acupuncture for pain or discomfort associated with gastrointestinal (GI) endoscopic procedures. Further human research is needed. Bromelain: Classified as an herb, bromelain is a sulfur-containing proteolytic digestive enzyme that is extracted from the stem and the fruit of the pineapple plant (Ananas comosus). Overall, there have been various studies on the anti-inflammatory actions of bromelain in animal, in vivo, ex vivo, and human clinical trials; results are promising. The majority of clinical studies have shown a positive effect with bromelain in the treatment of inflammation with minimal adverse events. Avoid if allergic to bromelain, pineapple, honeybee, venom, latex, birch pollen, carrots, celery, fennel, cypress pollen, grass pollen, papain, rye flour, wheat flour, or other members of the Bromeliaceaefamily. Use cautiously with a history of bleeding disorders, stomach ulcers, heart disease, or liver or kidney disease. Use cautiously before dental or surgical procedures or while driving or operating machinery. Avoid if pregnant or breastfeeding. Chiropractic: Chiropractic care focuses on how the relationship between musculoskeletal structure (mainly the spine) and bodily function (mainly nervous system) affects health. Chiropractors use many techniques, including, spinal manipulative therapy, diet, exercise, X-rays, and other techniques. A large number of published human trials and case reports detail the use of chiropractic manipulation in patients with chronic low back pain. Overall, the available scientific evidence suggests some improvement in pain symptoms. Better research is necessary before a definitive conclusion can be reached. Clove: Clove is commonly used as a fragrant or flavoring agent. Clove essential oil is commonly used as a dental pain reliever. Early studies have found that a homemade clove gel may be as effective as benzocaine 20% gel. Clove oil combined with zinc oxide paste may be effective for dry socket, a temporary but painful complication that sometimes happens after a tooth is removed. Comfrey: Comfrey (Symphytum officinale) has been found to have anti-inflammatory effects and may help decrease pain. Clinical trials investigating topical application of comfrey-containing creams have found significant reductions in inflammation and pain associated with sprains and muscle injuries. Overall, these studies have been well designed although some improvements in reporting are needed. Comfrey should only be used externally (on the skin), as internal use may cause liver damage. Various countries, including the United States, have asked companies to remove oral comfrey products from the market, and topical products are required to advise consumers not to use on broken skin. Other countries, such as Germany, allow topical comfrey products with a label including the maximal daily allowable levels of pyrrolidizine alkaloids of 100 micrograms and maximal use over six weeks per year. Avoid if allergic/hypersensitive to comfrey, its constituents, or members of the Boraginaceae family. Avoid oral comfrey due to hepatotoxic and carcinogenic pyrrolizidine alkaloids; oral use has caused death. Avoid topical comfrey on broken skin due to hepatotoxic and carcinogenic pyrrolizidine alkaloids. Avoid topical comfrey in individuals with or at risk for hepatic disorders, cancer, or immune disorders. Use topical creams containing comfrey cautiously if taking anti-inflammatory medications or cytochrome P450 3A4-inducing agents. Use extreme caution when using topical creams containing comfrey for extended periods. Avoid if pregnant or breastfeeding. Devil's claw: Devil's claw (Harpagophytum procumbens) originates from the Kalahari and Savannah desert regions of South and Southeast Africa. Several human studies support the use of devil's claw for the treatment of low back pain. However, most studies have been small with flaws in their designs, and many have been done by the same authors. Therefore, although these results can be considered promising early evidence, additional well-designed trials are necessary before a firm conclusion can be reached. It is not clear how devil's claw compares to other therapies for back pain. Guided imagery: In modern times, the term "guided imagery" may be used to refer to a number of techniques, including metaphor, story telling, fantasy, game playing, dream interpretation, drawing, visualization, active imagination, or direct suggestion using imagery. Therapeutic guided imagery may be used to help patients relax and focus on images associated with personal issues they are confronting. Early research suggests that guided imagery may help reduce cancer pain or lower postoperative pain ratings in children. Further research is needed to confirm these results. Guided imagery is usually intended to supplement medical care, not to replace it, and guided imagery should not be relied on as the sole therapy for a medical problem. Contact a qualified healthcare provider if mental or physical health is unstable or fragile. Never use guided imagery techniques while driving or doing any other activity that requires strict attention. Use cautiously with physical symptoms that can be brought about by stress, anxiety or emotional upset because imagery may trigger these symptoms. If feeling unusually anxious while practicing guided imagery, or with a history of trauma or abuse, speak with a qualified healthcare provider before practicing guided imagery. Hydrotherapy: Hydrotherapy is broadly defined as the external application of water in any form or temperature for healing purposes. It may include immersion in a bath or body of water (such as the ocean or a pool), use of water jets, douches, application of wet towels to the skin, or water birth. Several small trials report that regular use of hot whirlpool baths with massaging jets may improve the duration and severity of low back pain when added to standard therapy, compared to standard therapy alone. It is not clear if there is a reduced need for pain control drugs, or if benefits are long-standing. Because these studies are small with flaws in design and reporting, better quality research is needed before a strong conclusion can be drawn. Hypnosis: Various forms of hypnosis, trance, and altered states of consciousness have played roles across cultures throughout history. Hypnotherapy has been studied in the management of pain, including low back pain, surgery-related pain, cancer-related pain, dental procedure-related pain, burn pain, repetitive strain injury, temporomandibular joint disorders, sickle cell disease-related pain, irritable bowel syndrome, oral mucositis, tension headache, and chronic pain from various causes. Various hypnotherapy approaches have been used, and it is not clear what technique or duration of treatment is optimal. Therefore, although the existing research is promising, better-designed trials are necessary. Use cautiously with mental illnesses, such as psychosis/schizophrenia, manic depression, multiple personality disorder, or dissociative disorders. Use cautiously with seizure disorders. Music therapy: Music is used to influence physical, emotional, cognitive, and social well-being, and improve quality of life for healthy people, as well as those who are disabled or ill. It may involve either listening to or performing music, with or without the presence of a music therapist. Music therapy helps in a wide range of pain conditions, primarily by its ability to improve mood, encourage relaxation, and elevate pain threshold. There is evidence of benefit for pain in cancer, neonates in intensive care, burn care, general post-surgery, hospice patients, osteoarthritis, post-anesthesia care, open-heart surgery recovery, and coronary artery bypass graft (CABG) surgery. Results are not universal, however. Studies have found no or unclear benefits in stroke patients during upper extremity joint exercises, tissue biopsy or port placement or removal in cancer, musculoskeletal trauma, inguinal hernia surgery and abdominal hysterectomy. Thus, music therapy may be less helpful with more severe pain. Music therapy is generally known to be safe. Physical therapy: The goal of physical therapy is to improve mobility, restore function, reduce pain, and prevent further injury. A variety of techniques, including exercises, stretches, traction, electrical stimulation, and massage, are used during physical therapy sessions. Physical therapy has been used to treat pain in general. Long-term studies with more standardized outcomes measures would help make a stronger conclusion in this area. Not all physical therapy programs are suited for everyone, and patients should discuss their medical history with their qualified healthcare professionals before beginning any treatments. Physical therapy may aggravate pre-existing conditions. Persistent pain and fractures of unknown origin have been reported. Physical therapy may increase the duration of pain or cause limitation of motion. Pain and anxiety may occur during the rehabilitation of patients with burns. Both morning stiffness and bone erosion have been reported in the physical therapy literature, although causality is unclear. Erectile dysfunction has also been reported. Physical therapy has been used during pregnancy, and although reports of major adverse effects are lacking in the available literature, caution is advised nonetheless. All therapies during pregnancy and breastfeeding should be discussed with a licensed obstetrician/gynecologist before initiation. Therapeutic touch:Therapeutic touch may reduce pain and improve joint mobility in people with osteoarthritis, decrease pain and anxiety caused by burns, and improve chronic muscle and joint pain in elderly patients. Preliminary research reports that patients treated with therapeutic touch may need less pain medication after surgery. However, most studies of therapeutic touch have not been well designed, and therapeutic touch has not been clearly compared to common pain treatments such as pain-relieving drugs. Further research is needed before a firm conclusion can be drawn. Therapeutic touch is believed to be safe for most people. Therapeutic touch should not be used for potentially serious conditions in place of more proven therapies. Avoid with fever or inflammation and on body areas with cancer. Willow bark: In the United States, willow bark is used by herbalists as a fever reducer, mild pain reliever, and an anti-inflammatory agent. White willow has been compared to placebo and to cyclooxygenase-2 inhibitors, and many of the studies suggests that willow bark helps relieve lower back pain. Cost effectiveness studies have also been performed between white willow bark and conventional treatment, and found that willow bark was more cost effective. Additional study would help make a strong recommendation. Aconite: There is limited data on the use of aconite (Aconitum napellus) or any of its derivatives in treating pain. In limited human study, homeopathic aconite significantly relieved postoperative pain in infants. Further information is needed to confirm these results. Aconite is highly toxic and is not safe for human consumption. Avoid with heart disease, heart dysfunction, irregular heartbeat, hemodynamic instability (abnormal blood flow), gastrointestinal disorders, ulcers, reflux esophagitis, ulcerative colitis, spastic colitis, or diverticulosis. Use cautiously with diabetes or suicidal tendencies. Avoid if younger than 18 years old. Avoid if pregnant or breastfeeding. Acupressure, shiatsu: Early evidence suggests that acupressure may help reduce bone fracture pain, labor pain, low back pain, neck pain, and shoulder pain. There is also conflicting evidence on the effectiveness of acupressure for postoperative pain. Additional studies are needed to determine if acupressure effectively relieves any of these specific types of pain. Acupuncture: Evidence is inconsistent regarding the effects of acupuncture for shoulder pain, inflammation, craniofacial pain or cancer pain. More studies are needed to determine the potential benefits of acupuncture in pain management. Acustimulation: Acustimulation is the mild electrical stimulation of acupuncture points to control symptoms such as nausea and vomiting. A low intensity electrical current is used to penetrate just slightly below the surface of the skin. A study of patients recovering from abdominal surgery found that both high- and low-intensity levels of acustimulation reduced their need for pain medication. However, the higher intensity stimulation was more effective. More studies are needed to determine recommendations for use of acustimulation in pain management. Avoid if the cause of medical symptoms is unknown. Acustimulation devices may cause slight skin irritation under the electrodes when the wristband is used. Acustimulation devices should only be used on the designated area. Use cautiously with pacemakers. Keep acustimulation devices out of the reach of children. Alexander technique: The Alexander technique is an educational program that teaches movement patterns and postures with an aim to improve coordination and balance, reduce tension, relieve pain, alleviate fatigue, improve various medical conditions, and promote well-being It is unclear if the Alexander technique improves back pain. Serious side effects have not been reported in the available literature. It has been suggested that the technique may be less effective with learning disabilities or mental illnesses. The Alexander technique has been used safely in pregnant women. Alpha-lipoic acid: Alpha lipoic acid (ALA) is made naturally in the body and may protect against cell damage in a variety of conditions. Food sources rich in ALA include spinach, broccoli, and yeast. ALA shows some promise as a treatment for burning mouth syndrome, a condition that causes the mouth to feel hot or tingly. Additional research is needed before any conclusions can be made. Avoid if allergic to ALA. Use cautiously with diabetes and thyroid diseases. Avoid with thiamine deficiency or alcoholism. Avoid if pregnant or breastfeeding. Arginine: Arginine, or L-arginine, is considered a semi-essential amino acid, because although it is normally synthesized in sufficient amounts by the body, supplementation is sometimes required (for example, due to inborn errors of urea synthesis, protein malnutrition, excess ammonia production, excessive lysine intake, burns, infection, peritoneal dialysis, rapid growth, or sepsis). A well-designed multicenter, randomized, controlled clinical trial found that ibuprofen-arginate (Spedifen®) was more effective for dental pain compared to conventional ibuprofen alone. The study included 498 patients who were given ibuprofen-arginate, ibuprofen, or placebo after dental surgery. It was found that ibuprofen arginate relieved pain faster and adverse events with ibuprofen-arginate were similar to those seen with ibuprofen alone. Another similar trial concluded that patients treated with ibuprofen-arginate rated its overall effectiveness higher than those treated with ibuprofen alone. Adverse event profiles were similar across all treatment groups. Further research is needed in this area. Avoid if allergic to arginine. Avoid with a history of stroke or liver or kidney disease. Avoid if pregnant or breastfeeding. Use cautiously if taking blood-thinners, blood pressure drugs, antidiabetic drugs, or herbs or supplements with similar effects. Blood potassium levels should be monitored. 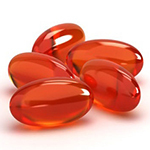 L-arginine may worsen symptoms of sickle cell disease. Arnica: Arnica is native to the meadows and mountainous regions of Europe and North America. The flowers of the plant are most often used for their medicinal benefit. Some patients use homeopathic arnica to relieve post-operative pain. However, arnica is often used with other pain-relieving agents. It is unclear how effective arnica is alone for the treatment of pain. Bach flower remedies: Back flower remedies are a set of preparations developed by Dr. Edward Bach. He asserted that harmful emotions are the main cause of disease, and he classified various emotions into seven principal categories. These categories were then divided further into 38 negative feelings, each of which was associated with a particular therapeutic plant. Limited study indicates that Bach flower remedies may benefit patients experiencing physical pain. More research is needed in this area. Back flower remedies should not be used in place of more proven therapies. Black cohosh: Black cohosh is a popular herbal remedy that is used to treat menopausal symptoms, such as hot flashes, migraine headache, mood changes, sleep changes, sweating, fast heartbeat, and vaginal dryness. More research is needed to determine if black cohosh is an effective treatment for arthritis pain. Use cautiously if allergic to members of the Ranunculaceaefamily, such as buttercup or crowfoot. Avoid with hormone conditions (e.g. breast cancer, ovarian cancer, uterine cancer, endometriosis). Avoid if allergic to aspirin products, nonsteroidal anti-inflammatory drugs (such as ibuprofen), or blood-thinners (such as warfarin). Avoid with a history of blood clots, stroke, seizures, or liver disease. It is recommended to stop use of black cohosh two weeks before and immediately after surgery/dental/diagnostic procedures with bleeding risks. Bowen therapy: Bowen therapy is a technique that involves gentle but precise soft tissue manipulation. Although Bowen therapy is popularly used for pain treatment, more scientific research is needed in this area to reach a firm conclusion. Cat's claw: Originally found in Peru, the medicinal use of cat's claw (Uncaria tomentosa) has been said to date back to the Inca civilization, possibly as far back as 2,000 years. Cat's claw may reduce inflammation, and this has led to research of cat's claw for conditions such as rheumatoid arthritis. Early research suggests that cat's claw may reduce pain from knee osteoarthritis. Further research is needed to confirm these results. Avoid if allergic to Cat's claw or Uncaria plants or plants in the Rubiaceae family such as gardenia, coffee, or quinine. Avoid with a history of conditions affecting the immune system (such as AIDS, HIV, some types of cancer, multiple sclerosis, tuberculosis, rheumatoid arthritis, lupus). Use cautiously with bleeding disorders or history of stroke, or if taking drugs that may increase the risk of bleeding. Stop use two weeks before and immediately after surgery/dental/diagnostic procedures with bleeding risks. Cat's claw may be contaminated with other Uncaria species. Reports exist of a potentially toxic, Texan grown plant, Acacia gregii being substituted for cat's claw. Avoid if pregnant, breastfeeding, or trying to become pregnant. Chiropractic: There is not enough reliable scientific evidence to conclude the effects of chiropractic techniques in the management of neck pain, acute low back pain, shoulder pain, pelvic pain, or thoracic spine pain. Better quality clinical research for the use of chiropractic for neck pain is necessary before a firm conclusion can be drawn. Coleus: The root extract of coleus is known as forskolin. It is unclear if coleus has anti-inflammatory effects. Additional research is needed. Avoid if allergic to Coleus forskohlii, members of the Lamiaceae family, or any of their constituents. Avoid oral and parenteral preparations that contain forskolin in patients with autosomal dominant PKD (polycystic kidney disease). Avoid in children, breastfeeding women, pregnant women, or in those who are trying to become pregnant. Avoid with active bleeding with a history of bleeding, hemostatic disorders, or drug-related hemostatic problems. Use cautiously in patients taking anticoagulants, antidiabetic agents, thyroid agents, or heart medications. Stop taking coleus at least two weeks before dental or surgical procedures with bleeding risks. Use cautiously with asthma, diabetes, hypoglycemia, thyroid disorders, heart disease, acid reflux, or other gastric acid problems. Color therapy: Color therapy uses the proposed healing abilities of colors to treat emotional and physical problems. Color therapy is based on the idea that different colors evoke different responses in people. There is early research suggesting that color therapy may help relieve some types of pain, including hand, elbow, or lower back pain. Further study is needed before a clear conclusion can be drawn. Color therapy is generally considered safe. Exposure to bright light may cause eye injury, such as retinopathy. Strobe lights may cause seizures in susceptible individuals. Use cautiously during pregnancy and breastfeeding. Comfrey: A comfrey-containing cream has been applied on the skin to reduce pain associated with myalgia. Improvements in pain at rest and in motion were noted. Further studies are required before a firm conclusion can be made. Corydalis: Corydalis has been used as part of traditional Chinese medicine (TCM) preparations since ancient times. Early study suggests that corydalis may be effective for treating some types of pain. High-quality clinical research is needed to confirm these findings. Corydalis is generally considered safe. Avoid if allergic or sensitive to corydalis. Avoid if taking sedative or hypnotic drugs, drugs that treat abnormal heart rhythms (including bepridil), pain relievers, or anticancer agents. Avoid if pregnant or breastfeeding. Dandelion: Research in laboratory animals suggests that dandelion (Taraxacum officinale) root may possess anti-inflammatory properties. Human studies are currently lacking in this area. Avoid if allergic to chamomile, feverfew, honey, yarrow, or any related plants (such as aster, daisies, sunflower, chrysanthemum, mugwort, ragweed, or ragwort). Use cautiously with diabetes, bleeding disorders, gastroesophageal reflux disease (GERD), kidney or liver disease, or with a history of stroke or electrolyte disorders. Potassium blood levels should be monitored. Stop use two weeks before and immediately after surgery/dental/diagnostic procedures with bleeding risks. Avoid if pregnant or breastfeeding. DMSO: Dimethyl sulfoxide (C2H6OS), or DMSO, is a sulfur-containing organic compound. 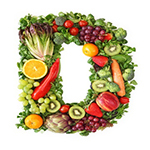 DMSO occurs naturally in vegetables, fruits, grains, and animal products. Treatment with DMSO may help reduce pain associated with kidney and gallbladder stone removal. However, more research is needed in this area. Avoid if allergic or hypersensitive to DMSO. Use cautiously with urinary tract cancer or liver or kidney dysfunction. Avoid if pregnant or breastfeeding. Euphorbia: There are more than 2,000 species of Euphorbia in the world, ranging from annual weeds to trees. Euphorbia balsamifera has been studied in patients with acute dental pulpitis and may have anti-inflammatory effects comparable to pulpal nerve caustics. Additional study is necessary to make a strong recommendation. Avoid if allergic or hypersensitive to pollen from Euphorbia fulgens. Use cautiously with a history of Epstein Barr virus infection or stomach conditions. Avoid if pregnant or breastfeeding. Eyebright: In Europe, eyebright (Euphrasia officinalis) has been used for centuries to treat eye infections and other eye-related irritations. Several iridoid glycosides isolated from eyebright, particularly aucubin, possess anti-inflammatory properties comparable to those of indomethacin (a nonsteroidal anti-inflammatory drug). Although early evidence is promising, more research is needed to determine if it is an effective anti-inflammatory agent. Avoid if allergic to eyebright, any of its constituents, or members of the Scrophulariaceae family. Use cautiously as an eye treatment, particularly homemade preparations, due to the risk of infection if not sterile. Use cautiously with diabetes or if taking drugs that are broken down by the liver. Avoid if pregnant or breastfeeding. Feldenkrais Method®: The Feldenkrais Method® involves stretching, reaching, and changing posture in specific patterns. In some cases, it includes a form of massage. Limited research suggests that Feldenkrais sessions may be helpful when added to other therapies for low back pain and may have mild benefits when used alone. Limited evidence also suggests that Feldenkrais may reduce neck and shoulder pain, although additional research is necessary before a firm conclusion can be drawn. There is currently a lack of available scientific studies or reports of safety of the Feldenkrais Method®. Focusing: Focusing (experiential therapy) is a method of psychotherapy that involves being aware of one's feelings surrounding a particular issue and understanding the meaning behind words or images conveyed by those feelings. Early evidence suggests focusing may improve medical symptoms and activity in individuals with chronic pain. More research is needed. Side effect reporting is rare, but patients should consult with their qualified healthcare practitioners before making decisions about medical conditions and practices. Individuals with severe emotional difficulties should not abandon proven medical and psychological therapies, but rather choose focusing as a possible adjunct. Glucosamine: Glucosamine is a natural compound that is found in healthy cartilage. Glucosamine sulfate is a normal constituent of glycoaminoglycans in cartilage matrix and synovial fluid. Based on early human research, injected glucosamine plus chondroitin may help treat leg pain arising from advanced lumbar degenerative disc disease. Further scientific evidence is necessary before a firm conclusion can be made. Healing touch: Data from small studies are inconclusive as to whether healing touch can benefit patients with post-operative pain, chronic pain, or back pain. Studies of better design are needed. HT should not be used as a substitute for established medical treatments. Use cautiously if pregnant or breastfeeding. Lavender: Oils from lavender flowers are used in aromatherapy, baked goods, candles, cosmetics, detergents, jellies, massage oils, perfumes, powders, shampoo, soaps, and teas. Early research suggests that the impression of pain intensity and unpleasantness may be reduced after treatment with lavender therapy. Other research has shown that lavender aromatherapy may be effective when used with acupressure for short-term relief of lower back pain or neck pain. Further research is needed before firm conclusions can be drawn. Avoid if allergic or hypersensitive to lavender. Avoid with a history of seizures, bleeding disorders, eating disorders (anorexia, bulimia), or anemia (low levels of iron). Avoid if pregnant or breastfeeding. Licorice: Licorice is harvested from the root and dried rhizomes of the low-growing shrub Glycyrrhiza glabra. Because licorice may affect the metabolism of steroids, licorice is sometimes used to help decrease inflammation. Additional study is needed to make a firm conclusion. Avoid licorice with known allergy to licorice, any component of licorice, or any member of the Fabaceae (Leguminosae) plant family. Avoid with congestive heart failure, coronary heart disease, kidney or liver disease, fluid retention, high blood pressure, hormonal abnormalities, or if taking diuretics. Licorice may cause abnormally low testosterone levels in men or high prolactin or estrogen levels in women. This may make it difficult to become pregnant and may cause menstrual abnormalities. Magnet therapy: Early research reports improved muscle strength and reduced pain in post-polio patients receiving therapy with static magnetic fields. Additional study is necessary before a firm conclusion can be drawn. The use of permanent or harnessed bipolar magnets in the treatment of chronic back pain is controversial. Early evidence with stronger magnets (up to 2,000 gauss strength) reported benefits, while more recent study with lower strength magnets (450 gauss strength) noted no effects. Additional research is necessary. Pulsed electromagnetic therapy and magnetic "necklaces" have been used and studied in people with chronic neck pain. Research is limited and not well designed. Better studies are necessary before a firm conclusion can be drawn. Avoid with implantable medical devices like heart pacemakers, defibrillators, insulin pumps, or hepatic artery infusion pumps. Avoid with myasthenia gravis or bleeding disorders. Avoid if pregnant or breastfeeding. Magnet therapy is not advised as the sole treatment for potentially serious medical conditions and should not delay the time to diagnosis or treatment with more proven methods. Patients are advised to discuss magnet therapy with their qualified healthcare providers before starting treatment. Massage: The main goal of massage is to help the body heal itself. Touch is fundamental to massage therapy and is used by therapists to locate painful or tense areas, to determine how much pressure to apply, and to establish a therapeutic relationship with clients. Based on early evidence, massage alone, or in combination with mindfulness-based stress reduction, may benefit patients with chronic pain, back pain, or neck and shoulder pain. More research is needed to confirm these results. Avoid with bleeding disorders, low platelet counts, or if taking blood-thinning medications (such as heparin or warfarin/Coumadin®). Areas should not be massaged where there are fractures, weakened bones from osteoporosis or cancer, open/healing skin wounds, skin infections, recent surgery, or blood clots. Use cautiously with a history of physical abuse or if pregnant or breastfeeding. Massage should not be used as a substitute for more proven therapies for medical conditions. Massage should not cause pain to the client. Meditation: Many forms of meditation have been practiced for thousands of years throughout the world, with many techniques originating in Eastern religious practices. Meditation, yoga, and other stress management techniques may help to relieve chronic pain, including chronic low back pain. However, since meditation is often used with many other treatments and therapies, the specific benefits of meditation are not clear. More studies are needed that examine the specific effects of meditation as a treatment for chronic pain. Use cautiously with underlying mental illnesses. People with psychiatric disorders should consult with their primary mental healthcare professionals before starting meditation and should explore how meditation may or may not fit in with their current treatment plans. Avoid with risk of seizures. The practice of meditation should not delay the time to diagnosis or treatment with more proven techniques or therapies, and should not be used as the sole approach to illnesses. Para-aminobenzoic acid (PABA): Para-aminobenzoic acid (PABA) is a naturally occurring non-protein amino acid. It has been shown that n-butyl-p-aminobenzoate (BAB) is an anesthetic. When used epidurally as an aqueous suspension, it may cause long-lasting sensory blockade, without motor impairment. These qualities may make BAB particularly suitable for the management of cancer pain. Additional research is warranted in this area. Avoid if allergic or hypersensitive to PABA or its derivatives. Avoid oral use in children and pregnant or nursing women. Use cautiously caution in patients with kidney disease. Abnormalities of liver function tests have been noted in patients taking PABA. Use cautiously in patients with diabetes or hypoglycemia. Blood sugar monitoring may be warranted in diabetics or patients at risk for hypoglycemia who are taking PABA systemically. Discontinue use if rash, nausea, or anorexia occurs. Pharmaceutical doses of PABA and its derivatives should only be taken under appropriate medical supervision. PABA should not be given concurrently with sulfonamides. Use cautiously in patients with bleeding disorders or in those taking anticoagulants. Pet therapy: Pet therapy (or animal-assisted therapy /AAT) is a goal-directed intervention in which an animal meeting specific criteria is an integral part of a treatment process. Based on early study, canine visitation therapy (CVT) may be an effective adjunct to traditional pain management for children. More high-quality studies are needed to make any firm conclusions. Avoid if allergic to animal dander. Use only animals that have had veterinary screening, particularly in situations involving young children, the elderly, or immunocompromised people. Do not provide unsupervised use of animals with the severely mentally ill and very young children. Avoid in patients who are fearful of animals or in those that have traumatic histories with animals. Physical therapy: Based on the available literature, it is unclear if physical therapy improves back pain, neck pain, shoulder pain, sciatica, or complex regional pain syndrome. Not all physical therapy programs are suited for everyone, and patients should discuss their medical history with their qualified healthcare professionals before beginning any treatments. Physical therapy may aggravate pre-existing conditions. Persistent pain and fractures of unknown origin have been reported. Physical therapy may increase the duration of pain or cause limitation of motion. Pain and anxiety may occur during the rehabilitation of patients with burns. Both morning stiffness and bone erosion have been reported in the literature, although causality is unclear. Erectile dysfunction has also been reported. Physical therapy has been used during pregnancy, and although reports of major adverse effects are lacking in the available literature, caution is advised nonetheless. All therapies during pregnancy and breastfeeding should be discussed with a licensed obstetrician/gynecologist before initiation. Prayer, distant healing: Prayer can be defined as a "reverent petition," the act of asking for something while aiming to connect with God or another object of worship. More research is needed to determine if prayer effectively reduces chronic pain. Prayer is not recommended as the sole treatment approach for potentially serious medical conditions and should not delay the time it takes to consult with a healthcare professional or receive established therapies. Sometimes religious beliefs conflict with standard medical approaches and require an open dialog between patients and caregivers. Propolis: Propolis is a natural resin created by bees, used in the construction of hives. Propolis is produced from the buds of conifer and poplar tress, in combination with beeswax and other bee secretions. There is preliminary evidence that propolis may reduce dental pain, for example with the use of a propolis gel. Additional research is needed. Avoid if allergic or hypersensitive to propolis, black poplar (Populas nigra), poplar bud, bee stings, bee products, honey, or Balsam of Peru. Severe allergic reactions have been reported. Use cautiously with asthma or gastrointestinal disorders. Avoid if pregnant or breastfeeding because of the high alcohol content in some products. Psychotherapy: Psychotherapy is an interactive process between a person and a qualified mental health professional. The patient explores thoughts, feelings, and behaviors to help with problem solving. Psychotherapy may reduce pain, including chronic pain, low back pain, and pain associated with pelvic congestion. In some cases, psychotherapy combined with medication may be more effective. More research needs to be done in this area. Some forms of psychotherapy may evoke strong emotional feelings and expression. Qi gong: Qi gong is a type of traditional Chinese medicine (TCM) that is thought to be at least 4,000 years old. Internal Qi gong is a self-directed technique that involves the use of sounds, movements, and meditation. Internal Qi gong actively engages people in their own health and well-being, and can be performed with or without the presence of an instructor. External Qi gong, also known as qi emission, is performed by a master using his or her hands on a patient, with the aim to project qi for the purpose of healing. Preliminary research reports that Qi gong may be useful in the management of chronic pain and anxiety caused by pain. However, the available research is low quality, and more evidence is needed in this area before a scientifically based conclusion can be drawn. Additionally, there is some evidence that patients with complex regional pain syndrome might benefit from Qi gong instruction. However, more research is needed before Qi gong is recommended as a therapy for this indication. Reflexology: Reflexology involves the application of manual pressure to specific points or areas of the feet called "reflex points" that are believed to correspond to other parts of the body. Early research suggests that reflexology may not effectively manage chronic lower back pain. Additional research is warranted. Avoid with recent or healing foot fractures, unhealed wounds, or active gout flares affecting the foot. Use cautiously and seek prior medical consultation with osteoarthritis affecting the foot or ankle or with severe vascular disease of the legs or feet. Use cautiously with diabetes, heart disease, unstable blood pressure, cancer, active infections, past episodes of fainting (syncope), mental illness, gallstones, kidney stones, or with a pacemaker. Use cautiously if pregnant or breastfeeding. Reflexology should not delay diagnosis or treatment with more proven techniques or therapies. Reiki: Reiki is a Buddhist practice that is approximately 2,500 years old. Patients in a preliminary ("phase II") trial of Reiki in combination with standard pain medications (with opioids) were reported to experience improved pain control. Further research is needed to confirm these findings. Reiki is not recommended as the sole treatment approach for potentially serious medical conditions and should not delay the time it takes to consult with a healthcare professional or receive established therapies. Use cautiously with psychiatric illnesses. Reishi mushroom: Reishi mushroom (Ganoderma lucidum), also known as ling zhi in China, grows wild on decaying logs and tree stumps. Reishi extract was found effective in decreasing post-herpetic pain (pain after herpes lesions heal) in early study. Further research is needed to confirm these results. Reishi mushroom is likely safe when consumed in amounts generally found in foods in non-allergic people. Avoid if allergic or hypersensitive to any constituents of Ganoderma lucidum or any member of its family. Use cautiously with diabetes, blood disorders (including hemophilia), low blood pressure, or ulcers. Relaxation therapy: Relaxation techniques include behavioral therapeutic approaches that differ widely in philosophy, methodology, and practice. The primary goal is usually non-directed relaxation. Most techniques share the components of repetitive focus (on a word, sound, prayer phrase, body sensation, or muscular activity), adoption of a passive attitude towards intruding thoughts, and return to the focus. Most studies of relaxation for pain, including post-operative pain and low back pain, are poor quality and report conflicting results. Better research is necessary. Avoid with psychiatric disorders such as schizophrenia/psychosis. Jacobson relaxation (flexing specific muscles, holding that position, then relaxing the muscles) should be used cautiously with illnesses like heart disease, high blood pressure, or musculoskeletal injury. Relaxation therapy is not recommended as the sole treatment approach for potentially serious medical conditions and should not delay the time to diagnosis or treatment with more proven techniques. Rolfing® Structural Integration: Rolfing® Structural Integration involves deep tissue massage aimed at relieving stress and improving mobility, posture, balance, muscle function and efficiency, energy, and overall well being. Rolfing® might improve pelvic tilt in healthy patients, suggesting that other low back disorders may benefit from Rolfing®. More studies are needed to determine if Rolfing® Structural Integration can effectively treat chronic low back pain and other back disorders. Rolfing® Structural Integration should not be used as the sole therapeutic approach to disease, and it should not delay the time it takes to speak with a healthcare provider about a potentially severe condition. Rolfing® Structural Integration is generally believed to be safe in most people. Avoid in patients taking blood thinners and in patients with broken bones, severe osteoporosis, disease of the spine or vertebral disks, skin damage or wounds, bleeding disorders, blood clots, tooth abscesses, acute disc problems, aneurysm, fever, recent scar tissue, connective tissue disease, cancer, and in patients who have just received cortisone shots or who are on chronic cortisone therapy. Use cautiously in patients with varicose veins or phlebitis, joint diseases, psychosis or bipolar disorder, severe kidney, liver, or intestinal disease, diabetes, menstruation, infectious conditions, colostomies, high blood pressure, and stenoses or strictures. Shark cartilage: Based on laboratory studies, shark cartilage may reduce inflammation. Chondroitin sulfate, a component of shark cartilage, has been shown to benefit patients with osteoarthritis. However, the concentrations of chondroitin in shark cartilage products may be too small to be helpful. It is currently unclear if shark cartilage is a helpful treatment for pain in humans. Avoid if allergic to shark cartilage or any of its ingredients (including chondroitin sulfate and glucosamine). Avoid with a history of heart attack, vascular disease, heart rhythm abnormalities, or heart disease. Use cautiously with sulfur allergy. Use cautiously with a history of liver or kidney disorders, tendency to form kidney stones, breast cancer, prostate cancer, multiple myeloma, breathing disorders (like asthma), cancers that raise calcium levels (like breast, prostate, multiple myeloma or squamous cell lung cancer), or diabetes. Avoid if pregnant or breastfeeding. Spiritual healing: A number of therapeutic techniques involve spiritual aspects, and there is overlap among these different approaches. It is unclear if spiritual healing has beneficial effects on chronic pain. Spiritual healing should not be used as the only treatment approach for medical or psychiatric conditions and should not delay the time it takes to consider more proven therapies. St John's wort: References to the use of St. John's wort in healing can be found for the last 2,000 years, dating back to the early Greeks. Early study suggests that St. John's wort may be ineffective at reducing pain after surgery or pain associated with burning mouth syndrome. More well-designed trials are needed before a conclusion can be made. Rare skin reactions, including rash and itching, are reported in human studies. Avoid taking if pregnant or breastfeeding. The most common adverse effects include stomach upset, skin reactions, tiredness, restlessness or worrying, sexual dysfunction (including impotence), sensitivity to light, dizziness, headache, and dry mouth. St. John's wort may interact with drugs broken down by the liver, drugs used to treat depression, birth control pills, blood thinners, Imodium®, headache medications, drugs that reduce swelling, drugs used for cancer treatment, imantinib, omeprazole, tolbutamide, caffeine, dextromethorphan, fexofenadine, carbamazepine, cimetidine, drugs that cause sedation, opioids, P-glycoprotein regulated drugs, antibiotics (increases sun sensitivity), antivirals, anesthetics, antifungals, drugs used for anxiety, heart problems, or seizures and herbs or supplements with similar effects. Tai chi: Tai chi is a system of movements and positions believed to have developed in 12th Century China. Tai chi techniques aim to address the body and mind as an interconnected system and are traditionally believed to have mental and physical health benefits to improve posture, balance, flexibility, and strength. There is a lack of scientific evidence to conclude that tai chi is effective for chronic pain conditions. Further research is needed in this area. TENS: Transcutaneous electrical nerve stimulation (TENS) is a non-invasive technique in which a low-voltage electrical current is delivered through wires from a small power unit to electrodes located on the skin. TENS is usually performed in conjunction with acupuncture treatments. Electrodes are temporarily attached with paste in various patterns, depending on the specific condition and treatment goals. Mixed results from clinical studies have been reported with the use of TENS or acupuncture-like TENS for pain, including back pain, neck or shoulder pain, burn pain, broken bone pain, cancer pain, chronic pain, phantom limb pain, pain from surgery, and pain control during lithotripsy, a technique used to break up gallstones. TENS for low back pain remains controversial. Better-designed research is needed before a firm conclusion can be reached. Therapeutic touch: There is little evidence that therapeutic touch can relieve phantom limb pain after amputation. More research is needed before therapeutic touch can be recommended as a treatment for this indication. Traditional Chinese medicine (TCM): Chinese medicine is a broad term that refers to many different treatments and traditions of healing. They share a common heritage of technique or theory rooted in ancient Chinese philosophy (Taoism) that dates back more than 5,000 years. TCM herbs may augment conventional Western medicine for better outcomes in low back pain. Additional study is needed before a recommendation can be made. Trigger point therapy: Trigger points are discrete, focal, hyperirritable spots in skeletal muscle. The spots may be painful on compression and associated with referred pain and tenderness, motor dysfunction, and autonomic phenomena. The goal of trigger point therapy for back pain is to eliminate the trigger points, and thus lessen the pain. There have been few studies that addressed the therapeutic potential of this therapy. Overall, the evidence is positive and demonstrates that this therapy might be effective for treatment of back pain. However, because back pain may be insidious and brought on by unrecognized causes, future studies should address trigger point therapy in various etiologies of back pain. Avoid aspirin ingestion within three days of injection. Avoid with extreme fear of needles, large bruises, phlebitis, varicose veins, undiagnosed lumps, or open wounds. Avoid if allergic to anesthetic agents (mainly caused by aminoester agents). Use cautiously with local or systemic infection, anticoagulation or bleeding disorders, or acute muscle trauma. Use cautiously during pregnancy. 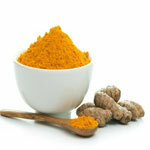 Turmeric: Turmeric (Curcuma longa) has traditionally been used as an anti-inflammatory herb. Laboratory and animal studies show anti-inflammatory activity of turmeric and its constituent curcumin, however, reliable human research is lacking. Avoid if allergic or hypersensitive to turmeric, curcumin, yellow food colorings, or plants belonging to the Zingiberaceae (ginger) family. Use cautiously with a history of bleeding disorders, immune system deficiencies, liver disease, diabetes, low blood sugar levels, or gallstones. Use cautiously with blood-thinners, such as warfarin (like Coumadin®), or blood sugar-altering medications. Avoid in medicinal amounts if pregnant or breastfeeding. Turmeric should be stopped before scheduled surgery. Vitamin C: Vitamin C (ascorbic acid) is a water-soluble vitamin that is necessary for the body to form collagen in bones, cartilage, muscle, and blood vessels. It also aids in the absorption of iron. Limited human study suggests that vitamin C may help prevent complex regional pain syndrome among elderly female patients with wrist fracture. This area merits additional study. Avoid if allergic or sensitive to vitamin C product ingredients. Vitamin C is generally considered safe in amounts found in foods. Vitamin C supplements are also generally considered safe in most individuals if taken in recommended doses. Avoid high doses of vitamin C with glucose 6-phosphate dehydrogenase deficiency, kidney disorders or stones, liver cirrhosis, gout, or paroxysmal nocturnal hemoglobinuria (bleeding disorder). It is unclear if vitamin C supplements in doses higher than Dietary Reference Intake recommendations are safe for pregnant or breastfeeding women. Vitamin C is naturally found in breast milk. White horehound: White horehound has traditionally been used for pain and spasms from menstruation or intestinal conditions. There is a lack of reliable human studies on safety or effectiveness for this use. Avoid if allergic or hypersensitive to white horehound or any member of the Lamiaceaefamily (mint family). White horehound is generally considered safe when used to flavor foods. Use cautiously with diabetes, high/low/unstable blood pressure, high levels of sodium in the blood, irregular heartbeats or gastrointestinal diseases (like ileus, atony or obstruction). Use cautiously with diuretics (drugs that increase urine production). Avoid if pregnant or breastfeeding. Yoga: Preliminary research reports that yoga may improve chronic low back pain in humans. However, larger better-designed studies are needed before a firm conclusion can be drawn. Magnet therapy: Overall, static magnets do not appear to be useful for general pain reduction. Phenylalanine: As a dietary supplement, phenylalanine is commercially available as L-phenylalanine, D-phenylalanine, and DL-phenylalanine. Early research suggests that phenylalanine may be ineffective for the treatment of low back pain. Avoid if allergic to hypersensitive to phenylalanine. Avoid with phenylketonuria (PKU), Parkinson's disease, or tardive dyskinesia. Use cautiously with high blood pressure, anxiety or other psychiatric disorders, or sleep disorders. Use cautiously if taking monoamine oxidase inhibitors (MAOIs). Avoid if pregnant or breastfeeding. For prevention of acute and chronic pain, it is important to take all prescribed medications and use all therapies for pain as ordered by a doctor. Proper body mechanics: Many options exist for individuals wishing to prevent back and neck pain. Learning proper body mechanics, such as bending, lifting, and twisting, is particularly important if the individual's occupation involves repetitive bending, lifting, and twisting. Exercise: Regular exercise helps to keep back muscles strong and flexible. Regular low-impact aerobic activities do not strain or jolt the back and neck. Low-impact aerobic exercises may also increase strength and endurance in the back and allow the muscles to function better. Walking and swimming are good choices. Abdominal and back muscle exercises, also called core-strengthening exercises, help condition back muscles so that they function more efficiently and help protect the back from injury. Flexibility in the hips and upper legs aligns the pelvic bones to improve back comfort. A healthcare professional can help the individual choose what exercise program may be best. Posture: Maintaining good posture, such as sitting straight in a chair and not slumping, can prevent and decrease back pain. Avoid standing or sitting in one place for long periods of time. Individuals with jobs that require long standing or sitting should take frequent breaks from standing or sitting positions to help prevent back pain. Weight control: Maintaining weight within an ideal range for the individual's body size is very important. Excess weight has been directly linked with the development and worsening of back and knee pain. In order to compensate for extra weight, the spine can become tilted and stressed unevenly. As a result, over time, the back may lose its proper support and an unnatural curvature of the spine may develop. In particular, pain and problems in the low back may be aggravated by obesity. This occurs in individuals with extra weight in their stomachs because the excess weight pulls the pelvis forward and strains the lower back, creating lower back pain. Diet: Eating a healthy diet is important. A healthy diet, including fresh fruits and vegetables, provides the body with essential nutrients for health, and can help decrease the underlying causes that lead to pain, such as poor vascular (blood vessel) and nerve health. Stopping smoking: Smokers have diminished oxygen levels in their spinal tissues that can hinder the healing process. Clinical studies have been mixed over whether cigarette smoking leads to back conditions, but there is evidence that smoking may increase the risk of developing sciatica, back pain that radiates to the hip and/or leg due to pressure on a nerve. American Association of Neurological Surgeons. .
American Chronic Pain Association. .
Andersen RE, Crespo CJ, Bartlett SJ, et al. Relationship between body weight gain and significant knee, hip, and back pain in older Americans. Obes Res. 2003;11(10):1159-62. The Movement Disorder Society. .
National Institute of Neurological Disorders and Stroke. .
Porter SE, Hanley EN Jr. The musculoskeletal effects of smoking. J Am Acad Orthop Surg. 2001;9(1):9-17. Smith CA, Collins CT, Cyna AM, et al. Complementary and alternative therapies for pain management in labour. Cochrane Database Syst Rev. 2006;(4):CD003521. Vas J, Perea-Milla E, Mendez C, et al. Efficacy and safety of acupuncture for chronic uncomplicated neck pain: a randomised controlled study. Pain. 2006;126(1-3):245-55. Wager TD, Scott DJ, Zubieta JK. Placebo effects on human micro-opioid activity during pain. Proc Natl Acad Sci U S A. 2007;104(26):11056-61. White A, Foster NE, Cummings M, et al. Acupuncture treatment for chronic knee pain: a systematic review. Rheumatology (Oxford). 2007;46(3):384-90. Acute pain: Acute pain is pain that lasts less than three months or pain that is directly related to tissue damage, such as with a burn or cut. Labor pains are also considered to be an acute pain. Influences that change acute pain into chronic pain include such things as the ongoing pain signal input to the nervous system even without tissue damage, lack of exercise, an individual's thoughts about the pain, as well as emotional states such as depression and anxiety. Chronic pain: The cause of chronic pain can sometimes be difficult to find. Long-term illness or disease, ongoing conditions, and injuries are the most common causes for chronic pain. These causes can damage the central or peripheral nervous system (neuropathic pain) and vascular (blood vessel) conditions. Long-term illnesses that may result in chronic pain include cancer, degenerative disease (such as osteoarthritis or osteoporosis), fibromyalgia, infections, dental problems, migraine headaches, inflammatory disease (such as rheumatoid arthritis), and multiple sclerosis (a degenerative neuromuscular disorder). Cancer patients often experience chronic pain caused by tumors that infiltrate and compress organs or bones as well as pain caused by treatment, such as radiation and cancer chemotherapy. Cancer treatments may also cause edema (tissue swelling), which may put pressure on sensitive nerves, causing pain. Pain from acute injuries, such as sprains and muscle strain, along with under- and overuse injuries, such as with back pain and heel pain, may also become chronic due to improper healing. Pain can either be acute (immediate and short-term) or chronic (long-term, lasting more then three months). Various pains are treated differently, based on severity and type. Pain can also be divided into categories that help explain its origin in the body and its effects on the body. The types of pain include nerve or neuropathic, nociceptive, or psychogenic. Acute pain: Acute pain is a normal sensation in the nervous system to alert the individual to possible injury. Acute pain is triggered by a stimulus, such as getting cut by a knife, getting burned, or falling on a rock. Acute pain is frequently associated with anxiety, tachycardia (fast heart rate), increased respiratory rate, increased blood pressure, diaphoresis (sweating), and dilated pupils. Acute pain, for the most part, results from injury to tissues and/or inflammation. Acute pain generally has a sudden onset. For example, after trauma or surgery, acute pain may be accompanied by anxiety or emotional distress. 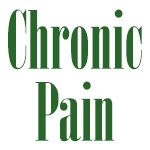 Chronic pain: Chronic pain is resistant to most medical treatments. Chronic pain can, and often does, cause severe problems for the individual. Pain signals keep firing in the nervous system for weeks, months, even years. Initial injuries, such as an infection, sprained back, or sprained muscle, may cause acute pain that may lead to chronic pain. There may be an ongoing cause of pain, such as in back pain, arthritis, diabetes (diabetic neuropathy), or cancer. Some individuals suffer chronic pain in the absence of any past injury or evidence of body damage. Many chronic pain conditions affect older adults. Common chronic pain complaints include headache, lower back pain, cancer pain, arthritis pain, neuropathic pain (pain resulting from damage to the peripheral nerves or to the central nervous system itself), and psychogenic pain (pain not due to past disease or injury or any visible sign of damage inside or outside the nervous system). Chronic pain may be associated with vegetative signs, such as fatigue (extreme tiredness), loss of libido (sexual drive), loss of appetite, and depressed mood. Individuals vary considerably in their tolerance for pain. Chronic pain is widely believed to represent disease itself. It can be made much worse by environmental and psychological factors. Nerve pain: Nerve pain, or neuropathic pain, is caused by pressure or damage to nerves or the spinal cord. Nerve pain can be caused by: tumors; injury, such as during surgery or falls; chemical damage, such as with mercury, lead, chemotherapy, and radiation; or viruses, such as herpes zoster (shingles or chicken pox). Nerve pain is severe and usually described as burning or tingling. Nerve pain usually occurs in one particular place on the body or along the path of a nerve. Nerve pain can occur in entire limbs, such as the legs or arms. Nerve pain has very different medication treatment options from other types of pain. For example, opioids (such as morphine) and non-steroidal anti-inflammatory drugs, or NSAIDs (such as ibuprofen, COX-2 inhibitors), are usually ineffective in relieving nerve pain. Phantom pain is a type of nerve pain felt where an amputated limb used to be. The individual feels the presence of a missing limb through pain and sensation. Some secondary sources report that 60-70% of people who have had an arm or leg removed feel phantom limb pain. The pain may resemble squeezing, burning, or crushing sensations, but it often differs from any sensation previously experienced. For some people, phantom limb pain occurs less frequently as time passes, but for others, it persists. Massage can sometimes help, but drug therapy is sometimes necessary. Nociceptive pain: Most pain is nociceptive pain. This type of pain is typically aching, sharp, or throbbing. Pain receptors for tissue injury (nocioreceptors) are located mostly in the skin or in the internal organs. These nocioreceptors are nerve fibers in the body that only send signals to the brain when they receive strong stimulation, such as with pain. Damage to these nocioreceptor neurons alters the way that they can respond to neurochemicals and makes them more sensitive after injury, which may be the cause of some types of chronic pain. Damage also causes the cells to release chemical mediators of pain and inflammation, including potassium ions, bradykinin, prostaglandins, serotonin, histamine, and substance P. Nociceptive pain is caused by an injury to body tissues. The injury may be a cut, bruise, bone fracture, crush injury, tumor invasion, burn, or anything that damages tissues. The pain experienced after surgery is almost always nociceptive pain. The pain may be constant or intermittent, often worsening when an individual moves, coughs, laughs, or breathes deeply or when the dressings over the surgical wound are changed. Nociceptive pain can be further divided into somatic pain and visceral pain. Somatic pain is pain caused by activation of pain receptors in cutaneous (body surface) or deep tissues, such as muscle and bone. Common causes of somatic pain include minor problems such as paper cuts, burns, or scrapes. Severe somatic pain can occur with metastasis (spreading) of cancer into the bone, and post-surgical pain from a surgical incision, such as after cardiopulmonary bypass. Somatic pain is generally localized in one area of the body and is intense, sharp, and easily identifiable as compared to throbbing visceral pain. The viscera refers to the internal areas of the body that are enclosed within a cavity. Visceral pain is caused by activation of pain receptors in the thoracic (chest), abdominal, or pelvic viscera. Common causes of visceral pain include pancreatic cancer, kidney disease, and metastases in the abdomen. Visceral pain is not well localized and is usually described as pressure-like, deep squeezing. Psychogenic pain: Psychogenic pain is pain of psychological origin. Psychogenic pain is entirely or mostly related to a psychological disorder, such as hypochondria (health anxiety phobia). Psychogenic pain does cause physical pain. When individuals have persistent pain with evidence of psychological disturbances and without evidence of a disorder that could cause the pain, the pain may be described as psychogenic. Pain that is purely psychogenic is rare. Pain complicated by psychological factors still requires treatment, often by a team that includes a psychologist or psychiatrist. For most individuals who have chronic psychogenic pain, the goals of treatment are to improve comfort and physical and psychological function. Medications, including antidepressants, and psychological counseling are often used.